Rebecca Wingate, is a licensed professional civil engineer with a background in railway bridge design and construction. She works as a consulting engineer at Bowman, Barrett, and Associates, Inc. and started her career at CN railway. From Sept 2013 - Sept 2014 she lived in Geneva, Switzerland for a Fulbright fellowship. She studied their public transit and the application of lean construction to railway infrastructure construction. She has been on the board of the Chicago SWE section since 2012 and has held several positions such as Vice President of Membership (FY16), Treasurer (FY15), counselor for IIT Collegiate Section (FY13 & FY15), Section Representative (FY14), and Website Chair (FY13-FY15). Rebecca is very motivated and inspired by her various roles at SWE Chicago. The relationships, networking, and skills she has developed with her membership to SWE have well exceeded her expectations and the experience has been very meaningful to her. With this high regard for the mission of SWE-CRS, she is excited to have the opportunity to represent the section. Diane DiFrancesco has a B.S. Chemical Engineering, minor Biomedical Engineering from Clarkson University in Potsdam, NY. She is the CEO and Founder of DLD Quality Engineering since 1998, an independent Quality Engineering Systems consulting business that specializes in FDA and ISO 9000 certification and compliance for regulated industries.A recent SWE life member (August 2015), Diane was a charter member of SWE Clarkson group, 1974, VP for 1975-76, and Regional Conference Coordinator in 1975. An active Member-at-Large for many years, she has served on the CSR for few years in 1980's. She was also the Southeast Regional Student Activities Coordinator 1982-84. Diane has been an active member of Chicago Regional Section since 1994 with positions including Collegiate Liaison Chair FY11-15 and Membership Chair FY16. She has also served as the SWE Counselor for Clarkson University (FY11-present), Oakton Community College CIG (FY16 - present), and STEM Magnet Academy SWENext group (FY15-present). She has participated in ~25 National Conferences and 3 ICWES and was a dual Presenter at Region H Conference Feb 2016. She is honored to serve SWE -RS as their VP of Membership and expects to be a member of SWE-CRS for life. Katie Lackner is a mechanical engineer working at Navistar in Lisle, IL. She graduated with her bachelor's degree from the University of Illinois at Chicago in 2010. In addition to her role as a Product Validation Team Lead at Navistar, she also leads the Employee run organization, Navistar Young Professionals. The group aims to provide networking and development opportunities to both new and experienced folks at the company. During FY14, she served as an Alternate Section Representative with SWE-CRS, and in FY15 she was a Section Representative. In FY16, she was the section's Corresponding Secretary. In FY17, she hopes to help motivate SWE's members by providing fun and meaningful opportunities to grow their networks, and encouraging women around Chicago to grow professionally as the Vice President of PD for SWE CRS. Alyssa Macuk is a Senior MEMS Engineer at Knowles Electronics where she works to develop microphones for consumer electronics. She is a 2012 and 2014 graduate of Bradley University with a bachelor and masters degrees in mechanical engineering. Alyssa's research passion and thesis topic was and is in the study of tribology of MEMS, or microelectromechanical systems. She has previously interned at Navistar and Knowles. 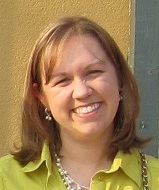 Diane Rink is a life member and joined while studying Electrical Engineering at the Illinois Institute of Technology. She is working as the Planning and Liaison Engineering Manager for Nicor Gas, a subsidiary of AGL Resources, Inc. Diane is involved with SWE in a variety of ways; serving as a membership circle coordinators, participating in the Corporate Partnership Council (CPC), presenting at SWE’s annual and regional conferences, and promoting SWE’s Mission to her employer and peers. Her achievement in leadership, professional success, and passion in mentoring women and young girls earned her an Outstanding Young Alumnus/Alumna Award from the Illinois Institute of Technology. The skills she has developed throughout her career have prepared her for this role. Additionally, her strong organizational and planning skills will be fundamental in her success as the Chicago section Treasurer. She is excited to expand her involvement and knowledge of SWE as Treasurer. Emily Carroll, PE, is a process engineer who has been working at BP for the past 4 years. She holds a BS in chemical engineering from the University of Illinois at Urbana-Champaign and is a licensed engineer in the State of Indiana. She has previously served on the SWE CRS board as the Recording Secretary. Emily is looking forward to contributing to the engagement of the SWE CRS membership through the role of Corresponding Secretary. She is also excited to be able to get more involved in a great organization and help it continue to support and serve its members. ​Abbey Schmoll has worked as a mechanical engineer in Specialty Chemical Manufacturing for 10 years. She joined Solvay’s rotational engineering program after graduating from Iowa State University and rotated from South Carolina to Louisiana to Ohio. A little over a year ago she moved to the Chicago land area and is now a Production Superintendent for Solvay Inc. Abbey’s experience in SWE started at Iowa State University. She continued to stay involved and active as she relocated from state to state and she took on multiple officer roles in the Baton Rouge section. She’s excited to become more involved in the Chicago area and would love the opportunity to start her involvement as the Recording Secretary. Halle Brooks has worked in the oil refining industry for 14 years and currently works as a Principal Process Engineer in sulfur treatments technology with BP’s central refining technology group in Naperville. She provides advanced process engineering support for BP’s Whiting, Toledo, Cherry Point, and Kwinana refineries. 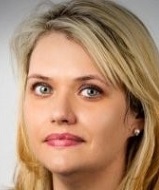 She also runs BP’s global continuous improvement forum of refinery process engineers in sulfur treatments technology. She graduated from Purdue University in 2001 with a BS in Chemical Engineering and earned her MS in Chemical Engineering from the University of Michigan while working for BP in Toledo. She is a Certified Professional Engineer in Illinois. Within BP, she is involved as a recruiter and as Co-Lead for both the BP Women in STEM and the BP Chicagoland women’s business resource group. In her free time, she enjoys spending time with her husband and three children (7, 4, and 2 year olds). She also enjoys jogging and home improvement/ decorating projects. ​Halle has been active in the past with SWE CRS as a Section rep, programs chair, and CLSC chair and is excited to get involved again as section representative. She’s looking forward to finding new ways to help the section integrate with regional activities and bring in a bit of experience from past SWE CRS practices. Andrea Ho completed her M.S. in Mechanical Engineering at Northwestern University, and B.A.Sc. at the University of Toronto. While a student in Toronto, Andrea volunteered with Let's Talk Science, an organization that brings fun and educational science activities to elementary-school aged boys and girls. After her graduate studies, Andrea worked in Vancouver, Canada, and served on the Events Committee and as Social Media Specialist of the Society for Canadian Women in Science and Technology (SCWIST), an organization that promotes and empowers women and girls in STEM in British Columbia. 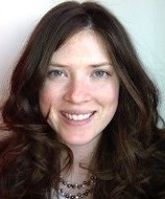 Andrea became involved with SWE when she moved to Boston in 2012. As a Section Representative and Communications Chair for SWE Boston, Andrea transitioned the Section's event management system to Eventbrite and helped coordinate the launch of SWE Boston's new website, which debuted in February 2015. She was recognized as the Most Valuable SWE Boston member in 2014. Andrea is currently a Project Consultant at PT&C|LWG Forensic Consulting Services in Deerfield, performing damage assessments and failure analyses of mechanical/electrical systems and motor vehicle accidents. In her spare time, Andrea enjoys playing tennis, snowboarding, and traveling. 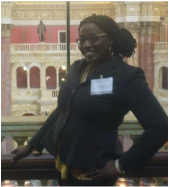 Euridice Oware, Ph.D. is an evaluator at the Museum of Science and Industry in Chicago where she develops and implements evaluation and research studies using quantitative and qualitative methods. Euridice is also an adjunct engineering faculty at the College of DuPage and has taught Introduction to Engineering Graphics and Design. She has a M.S. in Civil Engineering and a Ph.D. in Engineering Education from Purdue University. At Purdue, Euridice worked as a leadership team member for the Women in Engineering Program for graduate women for 3 years. Euridice has also worked for Northeastern University, TSI Engineering, and the US Army Corps of Engineers in St. Louis, MO. Euridice thanks SWE-CRS for the nomination for Section Representative! She wholeheartedly wants to serve in this role in order to share knowledge from our passionate SWE-CRS officers with other SWE sections while learning from them as well. Euridice brings her enthusiasm, hard work, and dedication to SWE, as highlighted in her experience as the SWE Outreach Committee’s Leader of the Learning Working Group from 2013-2015. This team founded SWE’s Voices from the Field webinar series. Euridice was also a speaker at SWE Annual Conferences for several years, the coordinator for the SWE’s participation in the Cambridge Science Festival in 2009-2011, and the 2010 Most Valuable New Member in the Boston Section. ​Enanga Fale is seeking to serve a SWE Chicago as a Section Representative. She is a passionate engineer and leader, who believes it is imperative to foster a collaborative network that leverages her experiences and education to serve as a SWE advocate. She currently serves as a SWE leadership coach, where she focuses on training SWE organizational units on maintaining healthy and vital sections and strategic program development. 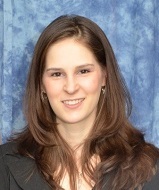 Enanga has supported SWE Chicago as college section counselor and membership circle chair. Prior to SWE Chicago, Enanga served with SWE East Central Iowa in varying roles, including President. As president, Enanga focused on building relationships and programs that made the organization a valuable forum for engineering professionals and launched the first Iowa SWE Conference – Planting Seeds of Success to foster a female STEM network across Iowa. She has also been engaged in SWE’s globalization efforts. Enanga Fale serves as a Site Leader and Engineering Manager for Product Development and Program Management, where she is responsible to manage and provide technical leadership for a software/systems engineering group for complex communication and IoT systems across diverse industries, such as, the Transportation and healthcare industries. Furthermore, she teaches electrical and computer engineering technology classes with local / global institutions. Enanga previously served as a Systems Engineer tasked to support ARINC industry standards groups and leveraged systems engineering principles to define, validate, and verify requirements associated with aircraft electrical power and air management systems. Additionally, she has led and supported global cross-disciplinary teams in embedded software design, system integration, strategic product line development, and system certification for Flight Management and Data Link Communication systems. She holds a Bachelor’s of Science in Electrical Engineering from St. Cloud State University with a concentration on Aviation Operations and Avionics, Masters in Systems Engineering with a Certificate in Human Computer Interaction from Iowa State University, and is currently pursuing graduate studies in Leadership and Business from the University of Charleston.